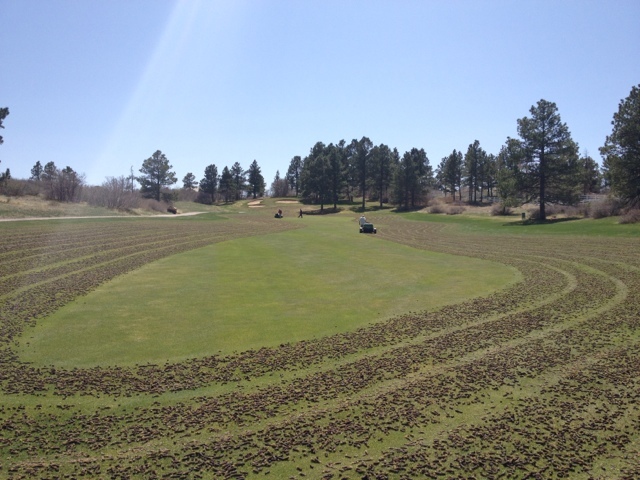 Today we started fairway aerification on the mountain course. The weather is fantastic and we are pulling a great plug. Five holes down and Just twenty more fairways to go.